Each floor plan offers a unique combination of features. Which suits you best? Decide for yourself by taking a tour of our comfortable apartment homes. Send us an email or call our Community Manager at 408-247-8452 today! 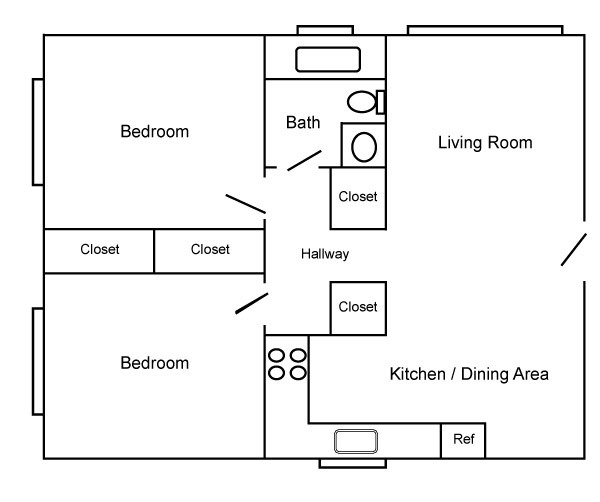 Our studio floor plan offers a full-sized kitchen, open floor plan and lots of light! 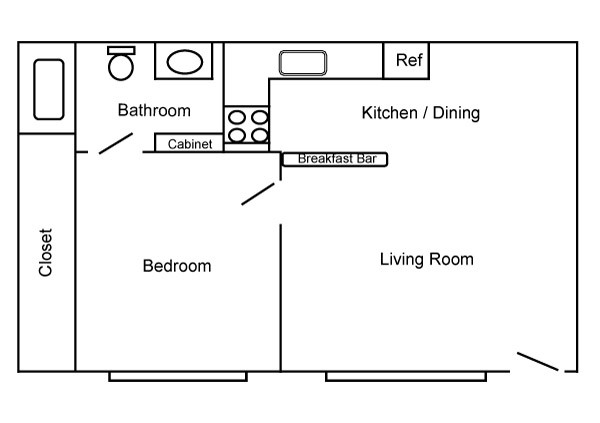 Our standard one bedroom floor plan features a wide living room, a lovely breakfast bar at the kitchen, and plenty of closet space in the bedroom. 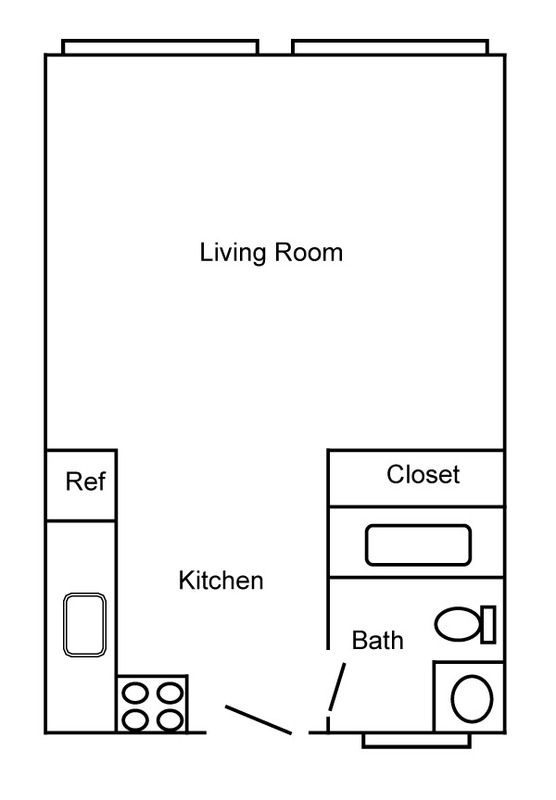 Our two bedrooms and one bathroom floor plan offers a comfortable living environment with its spacious layout and multiple closets for easy storage.